Things are heating up in Raleigh, N.C.! The June calendar is wired with energy, holding all the promise of new foodie discoveries, warm-weather nights spent on patios at bars and breweries, plus sunny evenings spent outdoors at concert venues both big and small across the area. Taste buds everywhere are tingling with excitement over the return of Triangle Restaurant Week (6/6-12)—a week-long celebration of culinary excellence designed to provide the opportunity for everyone to indulge and discover why Raleigh is a nationally-recognized foodie haven. More than 50 of the best restaurants in the Raleigh area will offer three-course, fixed price menus—$15 during lunch, and $20, $25 or $30 options at dinner time. Been wanting to try out that place your friend was raving about? Or return for another meal at a local spot that served up something memorable last time you were in Raleigh? This is the perfect chance! Have a question or want a specific recommendation? Shoot us a tweet at @visitRaleigh! Need (a lot) more mouth-watering options? 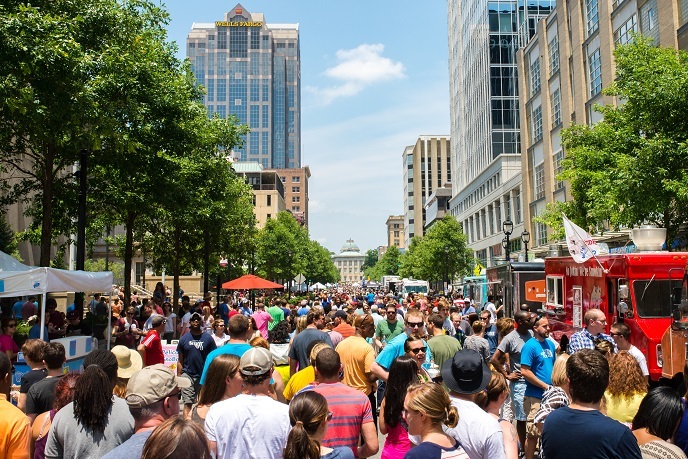 The Downtown Raleigh Food Truck Rodeo (6/12) is back with food as far as you can see—literally! Nearly a half-mile of more than 50 food trucks will line downtown Raleigh&apos;s Fayetteville St., offering up everything from lobster rolls to gourmet grilled cheese sandwiches and even macaroon ice cream concoctions—sure to make all your Facebook friends insanely jealous. For more on what to expect at this super-popular homegrown event, read our tips before you go. How does a beer to go with sunny weather and a seat on a patio sound? Don&apos;t forget about the Raleigh Beer Trail! Print out your Passport, get it stamped at Raleigh area breweries and we&apos;ll send you some sweet prizes! A good way to get started? 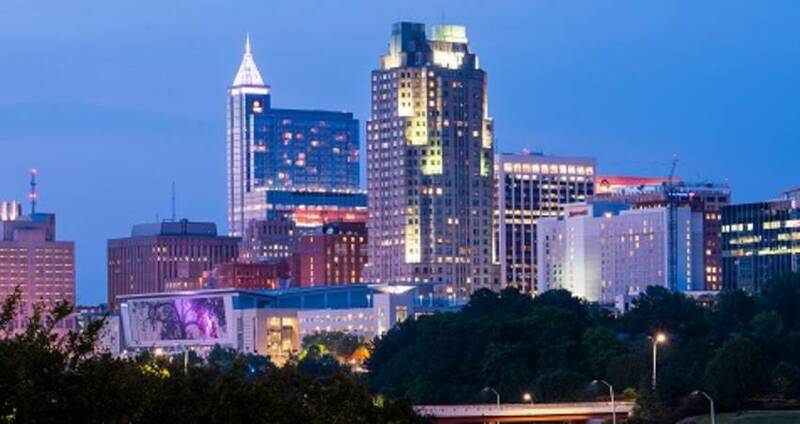 Check out our blog on the perfect way to spend a weekend touring up to 10 breweries—just in the downtown Raleigh area! We know sometimes you just absolutely need to have some delicious tacos at 1am, so while you&apos;re in the downtown area, how about swinging by a new local favorite hangout—Virgil&apos;s Original Taqueria (the fried avocado taco is a must-try!)? More than just tacos though, if you&apos;re the early-adopter type you should really know about these five new spots to fill up. Raleigh&apos;s music venues really hit the high notes when lining up acts as we transition into the outdoor summer concert season. June has all types of big-name acts, plus a bevy of artists with loyal followings ready to hit the stage in Raleigh. Red Hat Amphitheater, the 5,500-seat venue that sits in the shadows of the Raleigh skyline, is set to see Lord Huron and Nathaniel Ratliff & The Night Sweats (6/9), Ellie Goulding (6/10), M83 (6/11), Of Monsters and Men (6/15), Rebelution (6/16), The 1975 (6/17) and Twenty One Pilots (6/29) all rock the stage in front of big crowds. 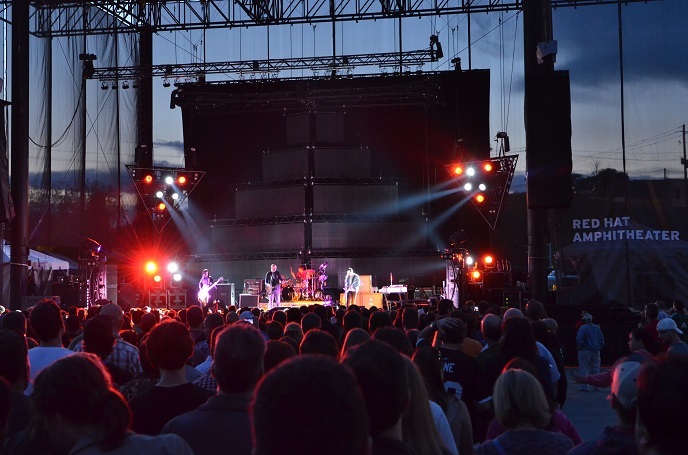 More outdoors shows that are sure to be memorable: Miranda Lambert (6/10), Rascal Flatts (6/18) plus Weezer with Panic! at the Disco (6/21) will play Coastal Credit Union Music Park at Walnut Creek, and Lake Street Dive (6/10) returns to Joseph M. Bryan Jr. Theater in the Museum Park (N.C. Museum of Art) after drawing rave reviews for their performance at the same venue a year ago. One more recommendation? You might want to catch upbeat hip hop artist B.o.B. (6/9) at Lincoln Theatre, and you&apos;ll definitely want to check our full calendar of live music at themostnc.com. You can also check up on all of the free outdoor concert series happenings. Grab a blanket, a cooler and some friends because outdoor movie season is in full swing! Just a few highlights if you want to catch a movie under the stars: The North Carolina Museum of Art is showing Creed (6/3), The Princess Bride (6/4), Bridge of Spies (6/17) and Mad Max: Fury Road (6/25); Koka Booth Amphitheatre will have Kung Fu Panda 3 (6/9) and Labyrinth (6/23) on the big screen; and City Plaza in downtown Raleigh will have The Karate Kid (6/3), Jumanji (6/10), The Princess Bride (6/17) and Sister Act (6/24). Perfect for the little ones, Sesame Street Live (6/3-5) at PNC Arena lets kids and families get up and dance with their favorite TV characters. The LexisNexis IRONMAN 70.3 Raleigh (6/5) has more than 3,000 professional and amateur athletes attempting to conquer the 1.2-mile swim, 56-mile bike and 13.1 mile-run course. If you&apos;re more of the spectator type, you can join in with fans lining the finish along Fayetteville St. in downtown Raleigh. The Apex Latino Arts Festival & Latino Arts Exhibit (6/4) will highlight Latino art and include a culinary festival, live music and arts and crafts activities on hand at the Halle Cultural Center. A 1,000-foot-long waterslide (seriously!) hits the streets of downtown Raleigh when Slide The City (6/11) pops up on Glenwood Ave. The Carolina RailHawks will take the pitch against the Jacksonville Armada (6/4) at WakeMed Soccer Park in Cary, and the Carolina Mudcats will face the Winston-Salem Dash (6/9-12), the Wilmington Bluerocks (6/16-19) and the Lynchburg Hellcats (6/30-7/3) in games at Five County Stadium in Zebulon.